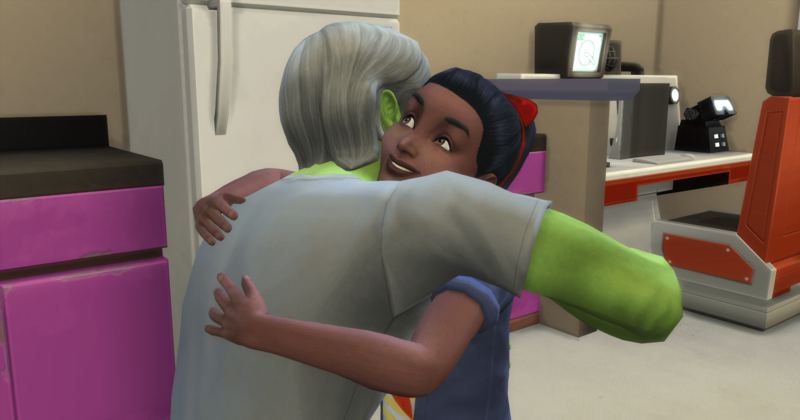 Since Theo is still alive and going strong, although he should have been dead a long time ago, it is time to get this legacy back on track with traditional heirs. 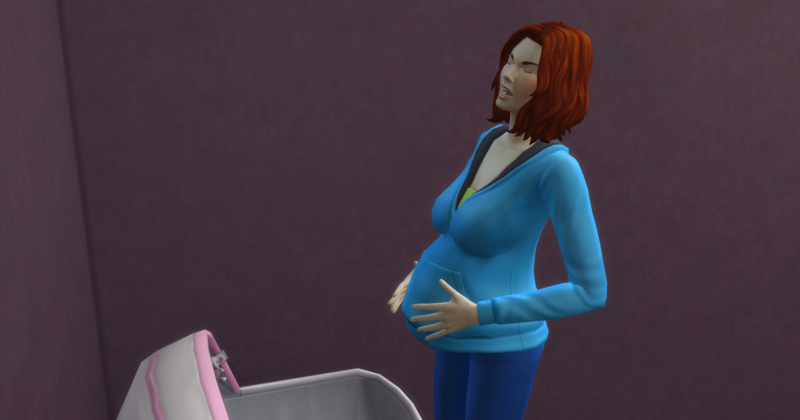 Rieko is pregnant. And squeamish. With the aspiration of collector (squeamish + catch frogs + pregnant). Our goal is a green-skin girl. 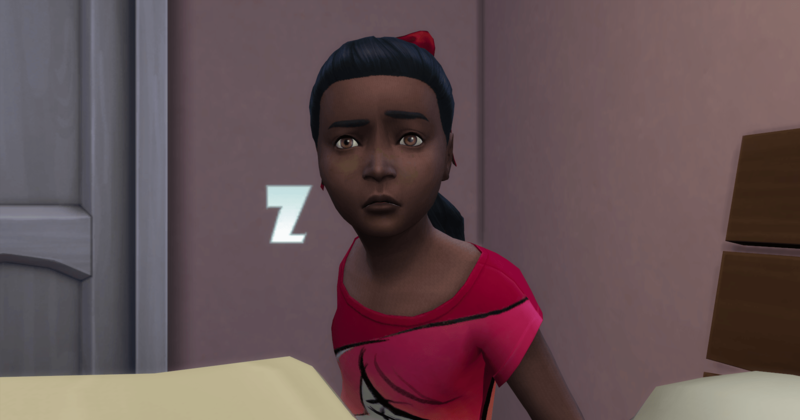 Rhea wakes up for school. 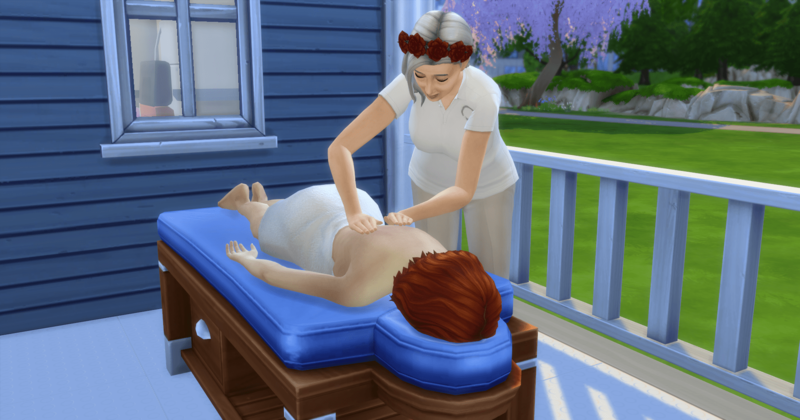 Since we don’t know how much longer Theo will be around, Rieko has a fertility massage. 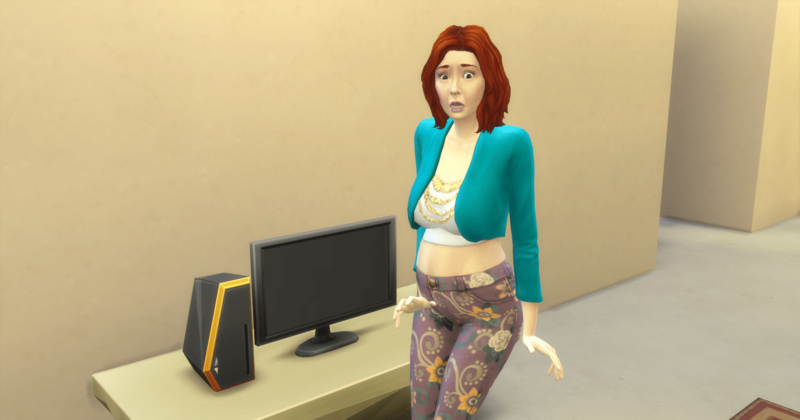 Looking through her social panel, she clicks on Haven’s picture and invites her over. 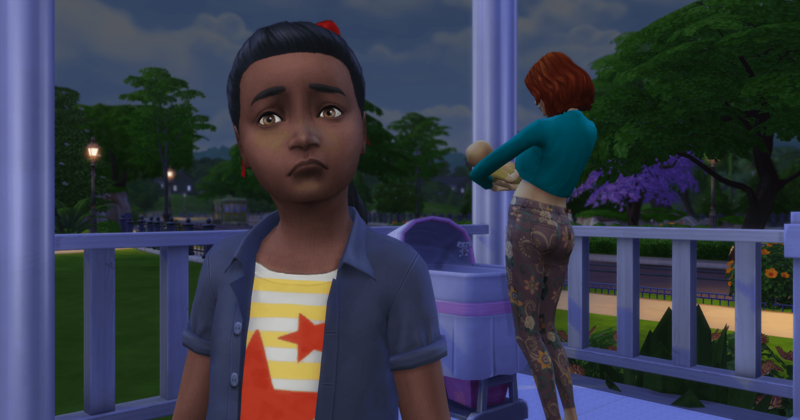 The toddler comes alone, stands there crying, and then Ally shows up to take her home. Rieko pees her pants three times during her next pregnancy. 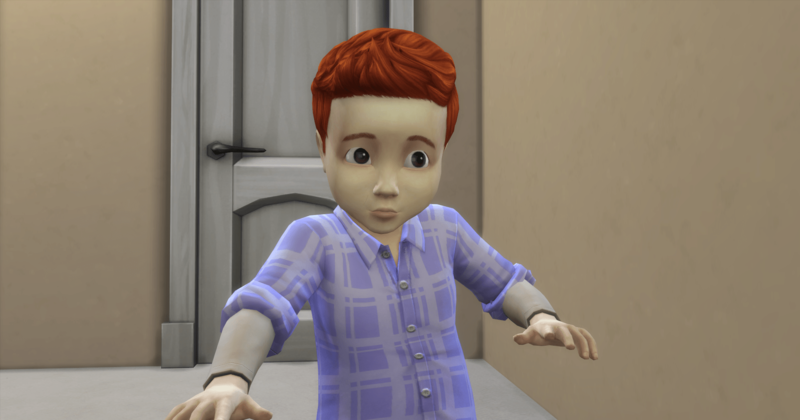 Chase becomes a toddler. An Angelic toddler. 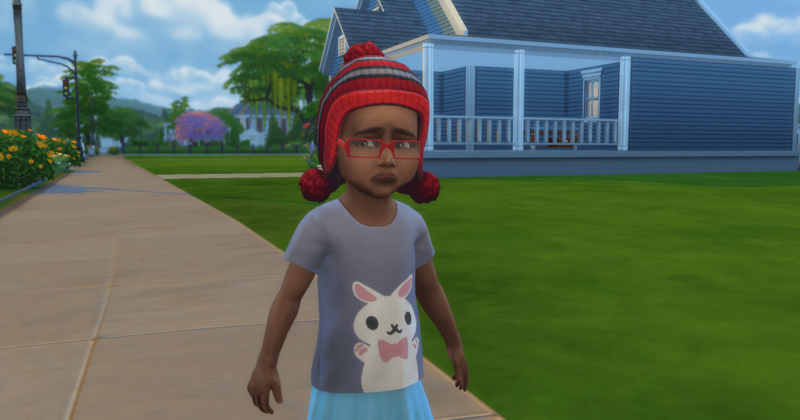 A toddler that is always sad. He should have rolled Gloomy. Rieko soons has a little white girl named Abby. 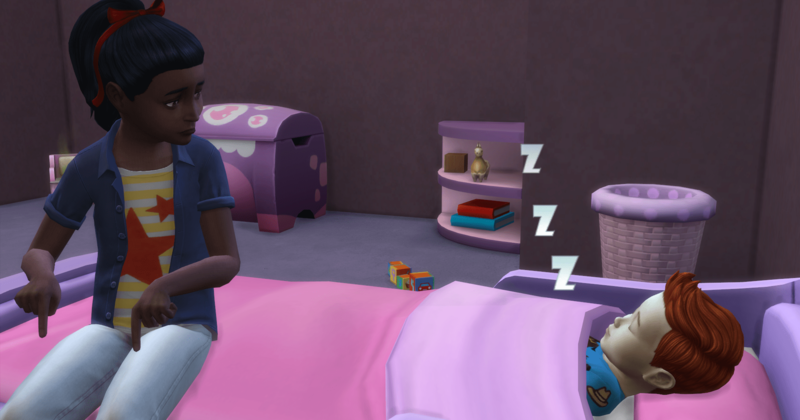 Chase meets his new sibling – who keeps waking him up with her crying. Rhea hasn’t realized yet that she is not the heiress. But she loves Theo. 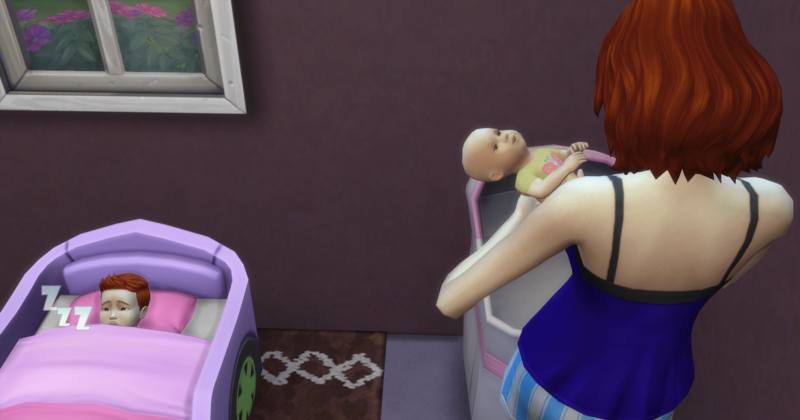 She spends a little time watching Chase sleep. The first time Chase truly hasn’t been sad.